The Torah Tales told by Rabbi Burston are wonderful stories that will inspire midos tovos and ahavas haTorah. 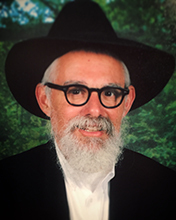 Rabbi Chaim Burston is an internationally known storyteller, and a musician. In addition to story telling, he has recorded five collections of beautiful and haunting tunes entitled Jewish Mystical Melodies. Learn more at www.Rabbiburston.com.